During rainy season, the most popular comfort food for most Filipinos is the steamy hot soup of sour pork stew commonly called Pork Sinigang by most Filipinos. I grew up with the said dish and I have encountered different ways on how to cook such pork sinigang and it has become one of my favorite Filipino Dish. 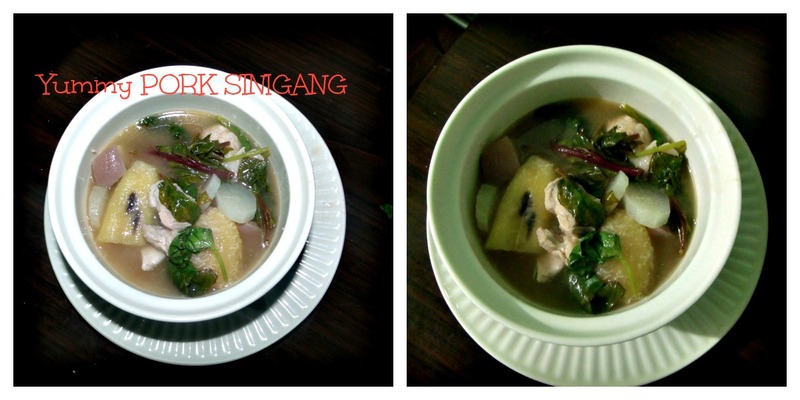 Cooking Pork Sinigang is simple and easy. That is actually one of the characteristics of Filipino food it is simple and easy to cook. Want to know how to cook it? First add water into a large pot and made to boil. Upon boiling add the 2 pcs of medium taro. Mashed the taro and mix it on the boiling water again. We add taro to add texture and taste on the soup. Then add the pork and tamarind. Once the pork is cooked add the Knorr Sinigang Mix.